I was raised by parents that loved Fleetwood Mac. I vaguely remember parties thrown by them back in the 70's, a bunch of people crammed into our small living room with Stevie Nicks singing in the backdrop. Then when Tusk first came out my dad was absolutely obsessed. He played the title cut CONSTANTLY, on loop for what seemed like days. I totally got it though. I really was different from everything else that he played and I loved it. 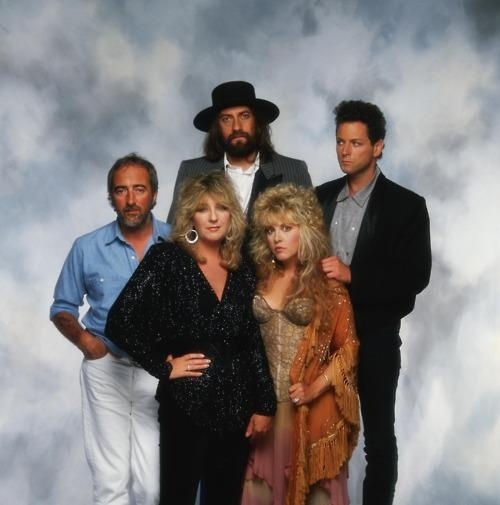 Still, I wouldn't exactly peg myself as a Fleetwood Mac "fan". I'm more of a cherry picker, with them and lots of other artists that I'm "supposed to" love. That pickiness has still led me to a bunch of songs by the band (and by the individual artists' as well) that I do love, like "Big Love". It comes from their 1987 release Tango in the Night, which I generally do like from start to finish. "Big Love", especially acoustic versions later on, really made me appreciate Lindsay Buckingham's voice and guitar skills. He and Christine McVie released an album of duets that havedone really well and is considered to be a follow up to songs from 30 years ago, like "Big Love". Check out the video below!